The Yellow-bellied Prinia is a common inhabitant of grassland and scrub, up to 1,200m in places where the vegetation has been disturbed. Usually it is seen taking short flights between brief landings on the stem of grass or bush. When disturbed, it quickly drops into cover. But it will soon give away its presence by its shrill song. 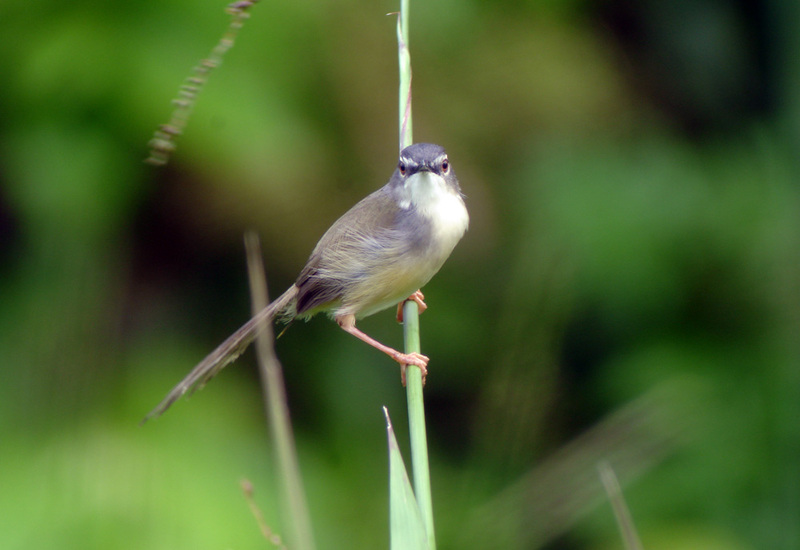 The race found in Borneo is the Prinia f. latrunculus with its underparts awashed in a light buff, quite unrepresentative of its vernacular name.